You asked, I delivered! More vintage stock images are on their way! 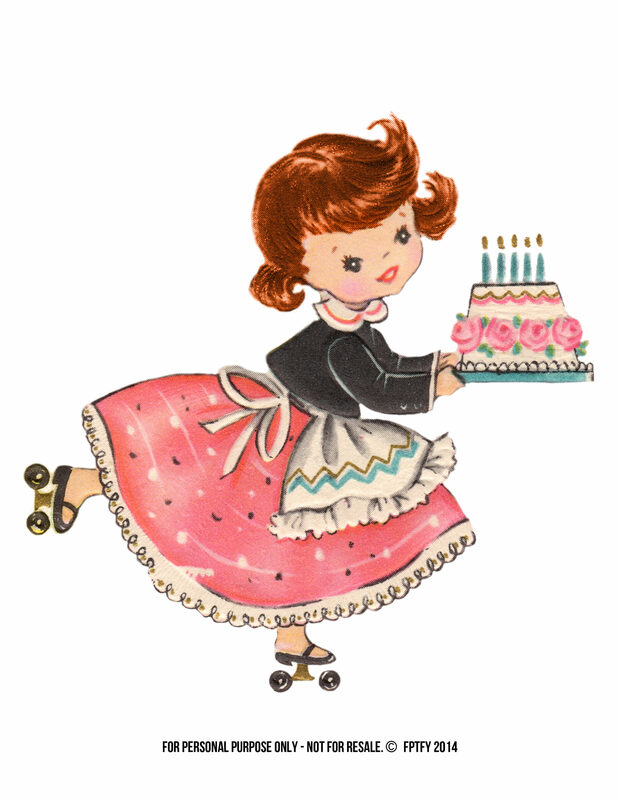 Last week’s Pretty Retro Birthday Girl Clip Art was such a hit, that many of you asked if she could come as a brunette, blonde and adorable redhead! It took me a bit to get the colors just right, but it was well worth it! Now you can pick which one fits you best! For the original girl with black hair click this post for the download! WOUW thanks sooo much, they´re sooo cute, and with 4 I can make a different one for each of my smaller granddaughters. Thanks again for always share your gorgeous work with us here. I love it. Have a wonderful sunday and summer ahead now too, And if you´re having vacation, I hope, it´ll be a really good one with your family.